We are passionate about how new technology can deliver exciting visitor experiences. However, it’s important to us that we do not push technology for technology’s sake. Great storytelling, is central to our approach and we advise on the best use of technology for the visitor and your organisation. 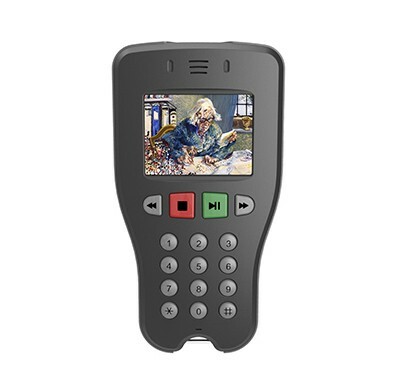 The next generation of handheld multimedia guides, designed to provide an app like experience via a rugged handset. 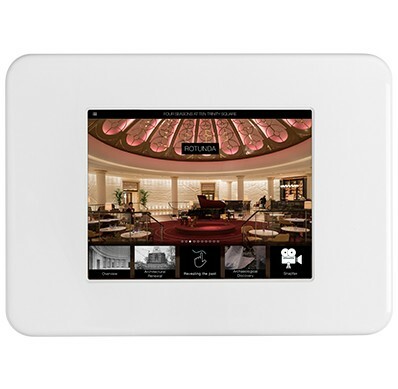 Deliver rich audio, images, video, interactives, wayfinding features and much more. The trusted iTouch guide delivers beautiful content via a stunning HD screen, designed for everyday use to present audio, multimedia and interactives. 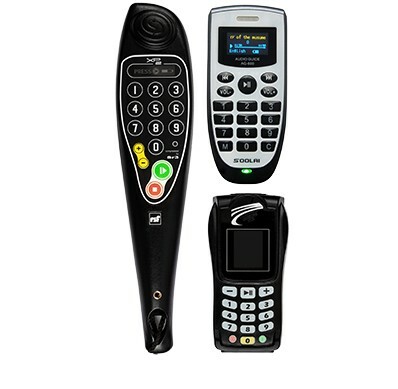 Coming soon, the exciting new product from our design team – the Echo is a fantastic all-round audio guide offering style, reliability and great value for venues of all sizes. The WorkSpace Content Management System is central to our Audio and Multimedia Guide eco-system. 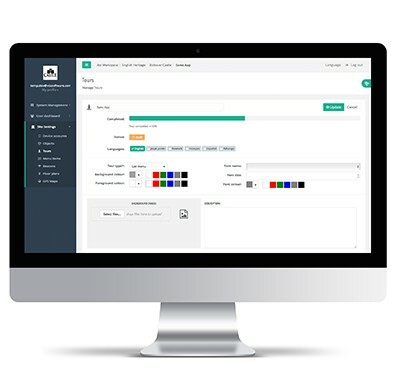 Providing a platform for managing devices, tours, content updates, analytics and reporting. 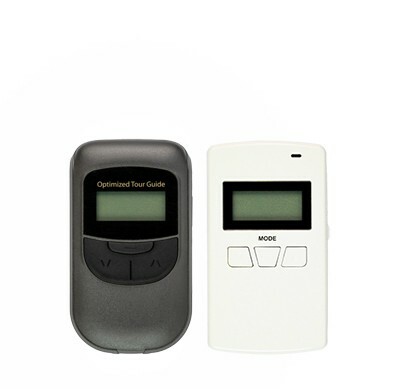 We offer a range of audio guides for self-guided experiences. From entry level models to devices with more advanced features including video-synchronisation, data analytics, alarms and more. 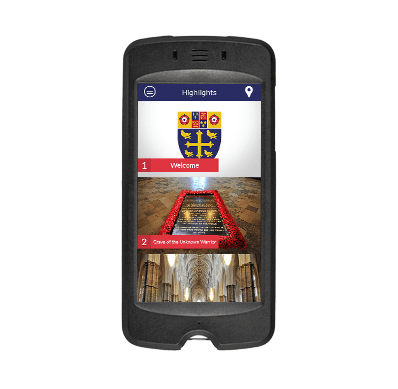 Tour guide devices provide an effective solution for small to large groups being led by a tour guide around a city, museum, stadium or heritage site. 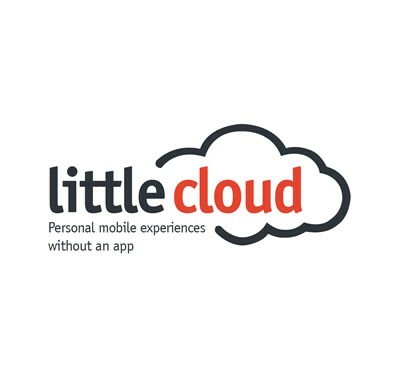 The Little Cloud™ is an all new Wi-Fi solution that delivers rich audio and multimedia content to visitors’ mobile devices via their browser. No need to download apps, content is available to visitors on location and across mobile devices. Tablet Kiosks provide a cost-effective way to deliver rich content via a touch screen tablet. 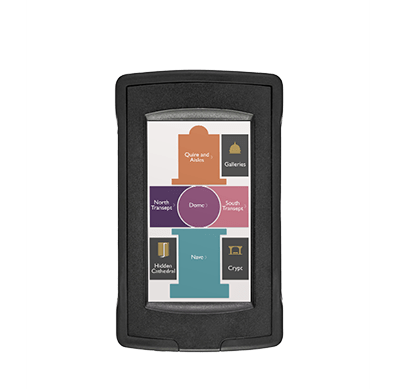 Tough and secure, Tablet Kiosks come in all shapes and sizes, with or without audio (headphones or speakers), you can even incorporate payments, printers and scanners.